Henry VIII flagship the Mary Rose, went down off the coast of Portsmouth in July 1545 when water flooded the gunports during a sharp turn. Recent studies on the skulls of the crew reveal that there may have been a reason those gunports were open: the sailors were Spanish, so they couldn’t understand the order to close the ports. 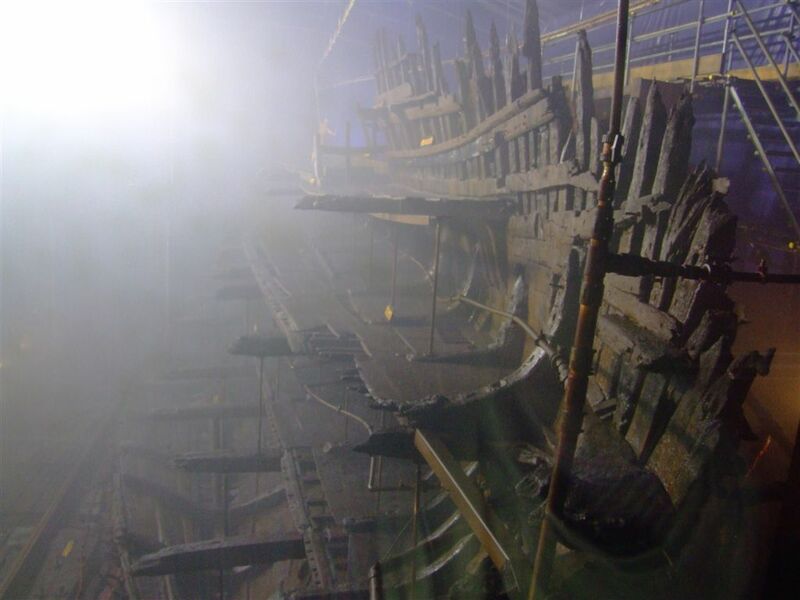 The theory has been put forward by Professor Hugh Montgomery, of University College London, whose research team was given access by the Mary Rose Trust to the remains of 18 crewmen. Forensic anthropologist Lynne Bell examined their skulls to determine where they had lived, and discovered that about 60 per cent were of southern European origin. Scientists can determine roughly which region a person grew up in by analysing the chemical composition of their teeth, which retain the type of water molecule they consumed while growing up. Prof Montgomery said: “The analysis of the teeth rules out Britain and countries in northern Europe. It suggests that the men grew up in a warm climate, probably somewhere in southern Europe. Or from prisoner of war camps, since 6 months earlier 600 survivors of a Spanish shipwreck had been pressed into service in Henry’s navy. That might also explain why the captain of the Mary Rose’s last words hollered to a nearby ship were that his sailors were “knaves I cannot rule”. I can’t help but picture the scene as a combination of Black Adder as the captain and a bunch of Manuels from Fawlty Towers as the crew.